Varicose veins are not only uncomfortable to have but can also be unsightly, causing low confidence on top of the already painful side effects. Spider veins may not be as severe, but they can be just as irritating to see and feel bulging from your skin. If you suffer from varicose veins, or spider veins, and are located in the Markham area, a visit to LightTouch Med Spa and our local facility could help you remove those vexing blood vessels from your body, so you can get back to feeling and looking your best. 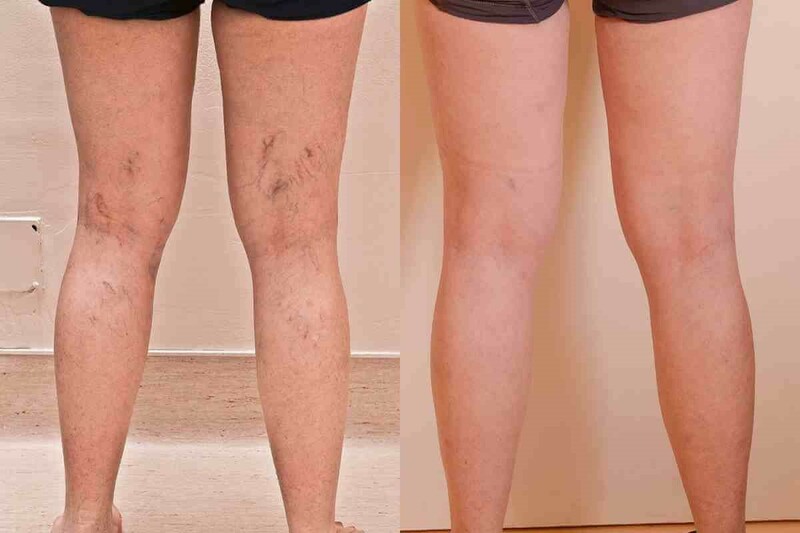 Almost 50% of adult females have some degree of spider veins, known as telangiectasias, which are small veins that are blue, purple or red in colour and reside close to the surface of the skin, remaining connected to the deeper venous system but without much function or purpose. Varicose veins, on the other hand, are much more severe, as over 3 million Canadians suffer from adverse effects of varicose veins. If left untreated, they can lead to clots in the vein known as thrombophlebitis, bleeding from veins, and chronic venous insufficiency, which can ultimately lead to leg ulceration. Whether you notice one or both kinds popping up on your body, LightTouch offers effective treatments, able to rid you of superficial and deep tissue damage without too much discomfort for you. Upon visiting one of our five facilities, our expert staff will be able to help treat your varicose veins, as well as spider veins, with our state-of-the-art Harmony® XL laser from Alma Lasers. Our lasers are cleared by the American Food and Drug Administration (FDA) and have full CSA clearance for Canada. Our professionally trained aestheticians have custom training with the Harmony® XL system and will be able to treat blood vessels at various diameters, depths, and pressures using either the IPL (intense pulsed light) treatments and YAG laser treatments. The YAG laser is the most effective for treating deeper varicose veins, while the IPL is a highly effective laser vein treatment for smaller spider veins and broken capillaries. The Harmony® XL uses IPL by emitting broadband light, delivering hundreds of specific wavelengths, or colour, in a single beam discharge to the targeted area. The laser destroys these broken capillaries, as it can specifically target blood (hemoglobin), without damage to the surrounding tissue, essentially heating up the vessel wall, which in turn absorbs the energy causing your varicose or spider veins to collapse and dissolve into your system. A series of two to four treatments are recommended in monthly intervals. However, the number of procedures will vary depending on each individual’s needs. This procedure can cause very mild discomfort, as the laser light impacts onto the skin’s surface, creating a similar sensation to the snap of a thin rubber band. Sometimes mild redness and irritation of the treated area, similar to a sunburn, can appear, but will soon fade. There is little to no downtime, so clients can usually resume normal activities right after treatment. With a world-class facility in Markham, along with four other locations in Canada, and two more opening up in the United States, LightTouch Med Spa aims to provide state-of-the-art treatments to all who need them. We pride ourselves on offering the best service, that is why we extend a free consultation to all potential clients, so they can discuss treatment options with one of our expert members of staff. Please contact us online and fill out our contact form to get your free vein treatment consultation underway this winter season!